Whether you just set up your Amazon Echo or you’ve had one for years, you’re probably not using the smart speaker to its full potential. Sure, you can ask Alexa for weather updates, set a timer while cooking, and use it to play music, but that’s just scratching the surface of what the AI assistant can do. Here are 13 things you might not know your Amazon Echo is capable of, from personalized traffic updates to tuning an instrument. 1. TRAIN ALEXA TO RECOGNIZE YOUR VOICE. The Amazon Echo is already pretty good at voice recognition, thanks to its seven built-in microphones. But if the speaker is still having trouble understanding what you’re saying there’s an easy fix: Just open the Alexa app on your phone and head to Menu > Settings > Your Voice > Begin to start the process, which includes 25 different phrases you’ll need to say. There are plenty of reasons why you might want to call your Echo something other than “Alexa.” Maybe it sounds too similar to your own name so you keep triggering the speaker by mistake, or maybe you just don’t like the way it sounds. Either way, you’ve got options. You can rename Alexa to Amazon, Echo, or Computer by opening the Alexa app and heading to Menu > Settings. Then tap on the Echo device you want to change and click on Wake Word. You should see a drop-down menu with all the other names you can choose from. Pick the one you want and hit Save to confirm. Amazon updates the Echo’s software on a regular basis automatically, but if you’re missing out on some important new software there’s a way to force an update right now. All you have to do is press the physical button on your speaker to mute the microphone. Then leave it like that for 30 minutes, and that's it—your Echo should be updated when you switch the microphone back on. 4. MAKE YOUR ECHO REPEAT THE LAST THING IT SAID. If you ask Alexa a question but you don’t catch the answer there’s an easy way to replay the last thing Amazon’s AI said. Just say “Alexa, can you repeat that?” to hear that last response again. 5. ASK ALEXA HOW TO SPELL A WORD. If you can’t remember how to spell a word you don’t need to look it up online or bother someone else in your home. Instead, just ask your Echo. All you need to do is say, “Alexa, how do you spell [BLANK]?” and Amazon’s AI will spit out a response. 6. FLIP A VIRTUAL COIN. Flipping a coin is a great way to settle simple disputes (like who should do the dishes or which show to watch), but what if you don’t have a coin to flip? Your Amazon Echo can help you settle the score with a simple virtual coin flip. Just say “Alexa, heads or tails” and you’ll get an impartial judge. 7. TUNE YOUR GUITAR (OR ANY OTHER INSTRUMENT). 8. CUSTOMIZE YOUR NEWS BRIEFING. You can ask your Echo for a news briefing by saying "Alexa, what's new?" or "Alexa, read me the news," but before you do you might want to pick and choose the sources it plays. Otherwise, your news briefing could last for a while, and you might end up hearing about a topic you don’t care about. To customize this feature, open the Alexa app and go to Menu > Settings > Flash Briefing. You should see a list of media companies covering various topics, and opening "Get More Flash Briefing content" will open up another menu with more options. Select the ones you want so the next time you ask Alexa you’ll get the exact news you’re looking for. 9. GET PERSONALIZED TRAFFIC UPDATES. If you drive to work every day you might want to ask your Amazon Echo for a traffic update before leaving the house each morning. Thankfully, Alexa is more than up for the task, but you’ll have to share some personal information with the AI assistant first. Just go to Menu > Settings >Traffic and then type in your home and work addresses. Now you can just say “Alexa, how is traffic?” or “Alexa, what’s my commute?” and Amazon will tell you what to expect from your drive. 10. MAKE SPOTIFY YOUR DEFAULT MUSIC SERVICE. The Echo automatically defaults to playing music through Amazon’s streaming service, but if you’d rather listen on Spotify, that’s an option too. Just go to Menu > Settings > Music & Media > Customize My Music Preferences > Choose Default Music Services > Spotify. Unfortunately, this trick doesn’t work for Apple Music or other streaming services, but there’s still an easy way to listen to Apple’s streaming service on your Echo. 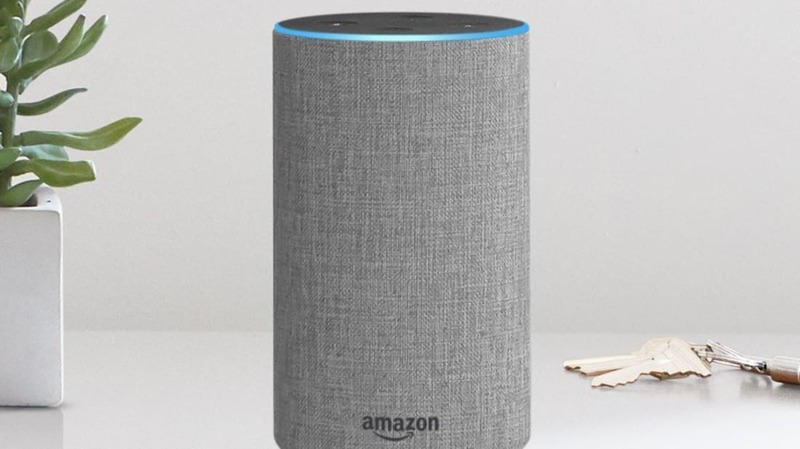 All you have to do is connect your phone to the smart speaker over Bluetooth and then stream the music directly from your phone instead. Craving a pizza, but don’t feel like lifting a finger? You can do it with a voice command. All you have to do is download the Domino’s Alexa Skill and link your account using the pizza-maker’s app. Then, when you’re hungry, just say “Alexa, open Domino’s” to launch the skill. From there, you can re-order your last pizza or opt for a pre-selected Easy Order. 12. CONTROL THE TEMPERATURE IN YOUR HOME WITH NEST. 13. CLEAR YOUR VOICE RECORDINGS HISTORY. Once you’re using your Amazon Echo like a pro, you may occasionally want to clear all the personal information it records. Thankfully, Amazon makes it easy to delete those voice command recordings. Just open the Alexa app and head to Menu > Settings > History. From there you can delete any individual recordings that might be a little too personal by tapping on the quote and selecting More > Delete Card. If you’d rather clear your entire history at once, you can do that too. Just open this Amazon link in your browser. Then, select Your Devices, pick the Echo speaker in question, and select "Device Actions" and then “Manage voice recordings.” Finally, click on Delete to clear them all at once.